Cotonou, 12 April 2019. 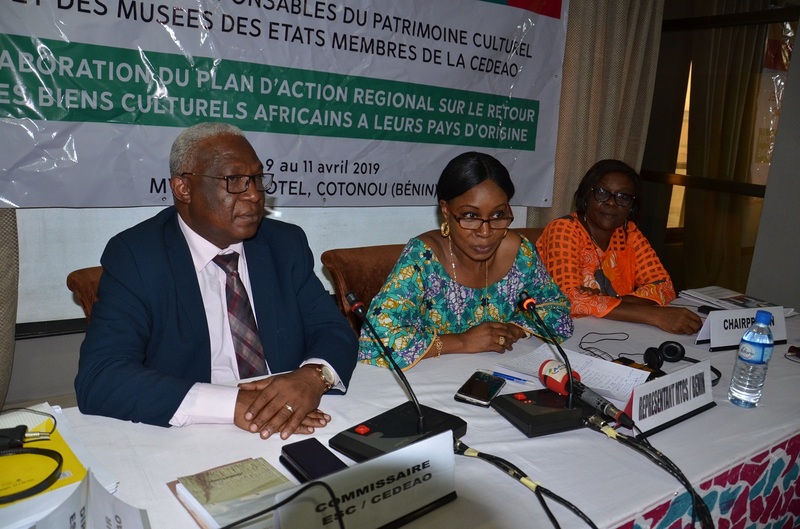 The meeting of Directors of Cultural Heritage and Museum of the Economic Community of West African States (ECOWAS) ended on 11 April 2019 in Cotonou, Benin with a number of recommendations for stakeholders. The stakeholders include African Union, ECOWAS Heads of State and Government, West African Economic and Monetary Union (UEMOA) and Member States. Member States were requested to take measures to ratify the UNIDROIT Convention as soon as possible, prepare official letters to countries in possession of these artefacts to return them, inform and raise awareness in order to mobilise national stakeholders. 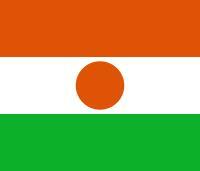 They were also urged to provide adequate financial resources for the implementation of the action plan on the return of cultural artefacts in their countries, promote the introduction of legal instruments for creating business foundations by non-state actors in order to support funding of activities for returning cultural heritage and adopt a common position for nominating ECOWAS representatives in international decision-making bodies on culture. The African Union on its part, was recommended to take ownership of ECOWAS action plan on the return of cultural artefacts and contribute to its implementation. As regards the Heads of State and Government, participants recommended that they become more involved and ensure the implementation of the action plan on the return of artefacts and the establishment of a group devoted to cultural artefacts. ECOWAS and UEMOA, on their part, were invited to prepare a draft international agreement on the specific issue of the return of cultural artefacts and establish a regional committee for monitoring the implementation of the action plan. The meeting also urged them to organise an international conference on the return of cultural artefacts in order to inform, sensitise and mobilise all stakeholders, strengthen cooperation with professional organisations, particularly the International Council of Museum (ICOM) and mobilise the necessary financial resources for the implementation of the action plan on the return of cultural artefacts. At the end of the meeting, the participants validated the ECOWAS 2019/2023 Action Plan for returning cultural artefacts to their countries of origin, and recommended its adoption by the meeting of Ministers of Culture of the region. The ECOWAS Commissioner for Education, Science and Culture, Prof. Leooldo Amado expressed satisfaction on the completion of the document, which was commissioned by the Heads of State and Government. He commended the general enthusiasm and determination the return of artefacts to their countries of origin have generated, while underlining the problems and challenges inherent in the return of cultural artefacts. ‘We are going to present the status of our cultural property and succeed in returning them to our respective countries. We should sensitise our people on the importance of these items, and work towards enlisting their support to ensure our development and cultural welfare’, declared Prof Leopoldo Amado. Speaking during the closing ceremony, the Director of Cultural Heritage, Mrs Carole Borna, representing Benin Minister of Tourism, Culture and Sports commended the participants for the relevant recommendations made. She expressed the hope that these recommendations would be adopted at the next meeting of ECOWAS Ministers of Culture, and concrete actions taken for the return of African cultural artefacts to their counties of origin.